A few hours ago, several European governments have denied or withdrawn, upon technical pretexts, airspace or landing authorizations for the airplane of the President of the Multinational State of Bolivia (Estado Plurinacional de Bolivia) Evo Morales Ayma. Which constitutes an inadmissible, ungrounded and arbitrary act that offends all Latin America and the Caribbean. 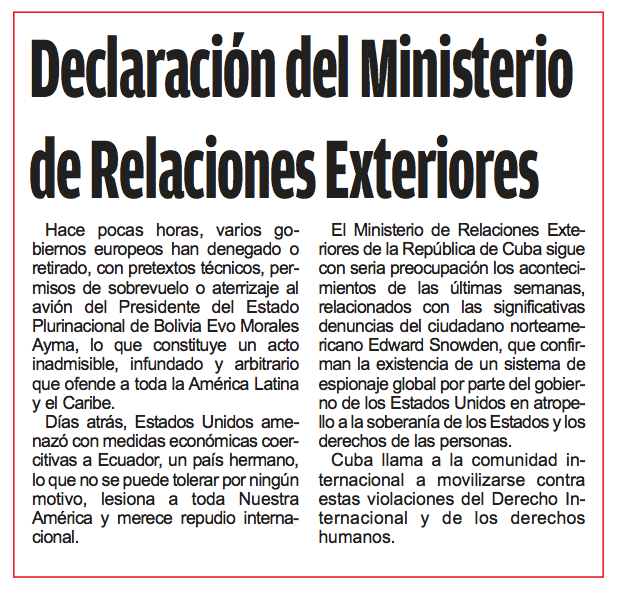 Some days ago, the U.S. threatened Ecuador, a brother country, with coercive economic measures. This, which cannot be tolerated under any reason, is an insult to all our America, and calls for international condemnation. 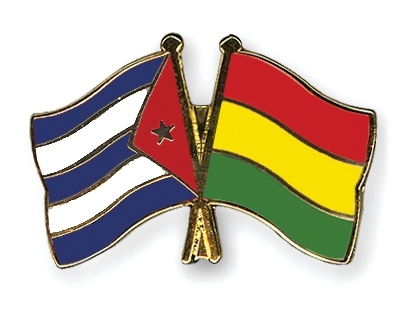 The Ministry of Foreign Affairs of the Republic of Cuba, is following with serious concern the recent weeks’ events associated with the American citizen Edward Snowden’s substantial denounces, which confirm the existence of a global spying system from the part of the government of the United States - a trampling on the countries’ sovereignty and on the rights of the individuals. Cuba calls on the international community to mobilize against these violations of international law and of human rights.